Harsh Enterprises has an international repute as one of the leading manufacturers and exporters of a wide array of leather wallets, leather folders, leather belts, leather garments, leather accessories and other gift items. 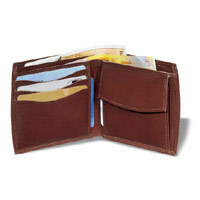 We specialize in manufacturing quality leather wallets made of soft leather. Designed to perfection, these leather wallets consist of card slides, two interior pockets, an ID window, and more. The double stitch in contrast provides a unique look and ensure durability in every piece. Our wide range of leather wallets are available in variety of attractive designs and blend of colors to suit the varying taste of our customers. 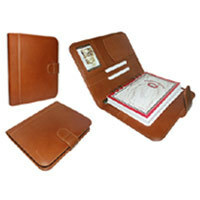 We offer a premium range of leather folders made from finest quality of soft leather. These leather folders consist of standard rings that keep papers and documents safe. Our range of leather folders are available in variety of designs and color as per the choice of the customers. Presenting a premium range of leather belts crafted of quality leather. Highly durable, these leather belts perfectly blend with any range of premium shirts, and trousers, both formal and casual. 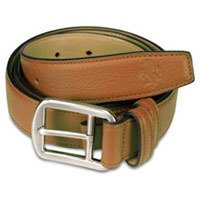 Our range of belts are highly comfortable to wear and are available at the most reasonable price. 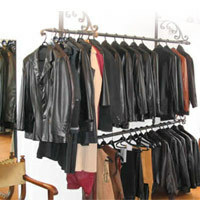 Our range of leather garments are specially designed to compliment every personality. Made of finest quality leather, these products are based on latest fashion trends and are highly durable. Our leather garments are available in plethora of designs from ageless appeal of traditional to the striking contemporary range. We manufacture a classical range of leather mobile cases that are designed to provide complete safety to various accessories. These leather mobile cases are not only visually appealing but they are highly durable as well. 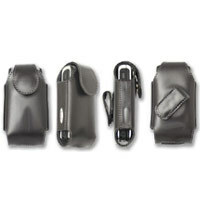 We offer a wide range of leather mobile cases in variety of designs and combination of colors. Our range of leather corporate gifts has been the first choice of leading corporate company for rewarding their employees or establishing relationship with their new business partners. These leather corporate gifts are made with an immaculate attention to every detail that gives it a superior finish. 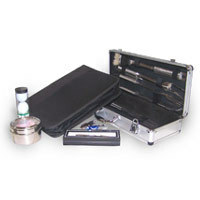 We also provide our customers with the facility to engrave the company's logo on the products. A perfect blend of beauty and utility, our leather buckle bags are made to compliment every outfit. 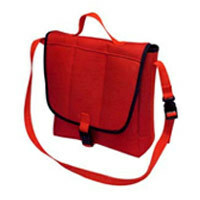 These leather buckle bags are made of best quality leather and hence are highly durable. 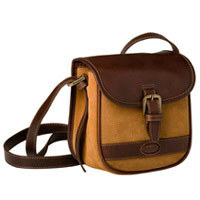 Available in variety of attractive designs, our leather buckle bags are craze amongst the youth of city. Designed to perform brilliantly, our sparkling range of metallic ink pens feature impressive design and unmatched quality. These metallic ink pens consist of fade proof ink and can even write on hard surface with great ease. Reasonably priced, these metallic ink pens are available in plethora of designs and make a perfect gift for students and corporate sector. Presenting an attractive range of plastic pens that can write smoothly in any surface. Made from quality materials, our plastic pens provide perfect grip and ultimate writing experience. 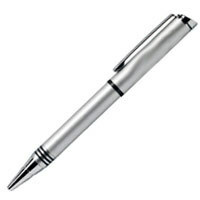 We also expertise in customizing the pens as per the requirement of the customers. 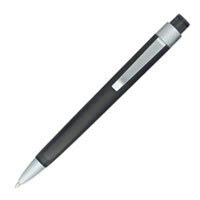 Our broad spectrum of plastic pens are available in variety of models and designs. 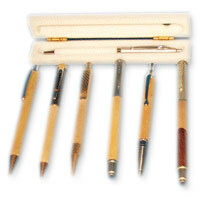 We offer an exotic range of wooden writing pens that are recognized for their distinctive style. Our wooden writing pens are made of quality wood, these writing instruments are the perfect way to exhibit appreciation and esteem for valued clients, colleagues and loved ones. 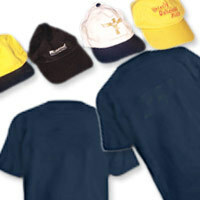 Made to mesmerize the onlookers, we offer a versatile collection of casual wear like T-Shirts and Caps to our customers. All the products are made of finest quality material that ensure extraordinary strength in every piece. Comfortable to wear, our range of casual wear are available in variety of designs and combination of colors.